If you are looking for experienced and fully trained plumbers in London then Home Cure has the answer. 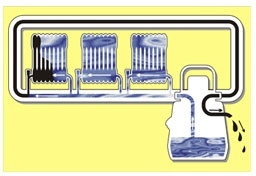 We at Home Cure offer solutions to all types of domestic plumbing and heating problems, whether you simply need a quick fix to a dripping tap, a new appliance fitted or a completely new central heating system.. Home Cure provides you with a complete solution for the design, supply, installation and maintenance for your plumbing and heating systems. Should you require a reliable 24 hour plumber in London at any time of the day or night we will be there. We are confident that we provide high quality workmanship. All plumbing repairs and installations are conducted by our local plumbers that are fully guaranteed, giving you peace of mind so in the rare event of a problem occurring you know you are covered. No Call out charge for booking, just a clear and simple method of charging, please see our charges page for more information on our prices. We provide you with a professional plumbing service that is second to none. Your emergency plumber will quickly and effectively repair your plumbing emergency to get you the best result, for a reasonable price and with the guarantee to replace parts that are faulty or broken. Quality control is very important to us, we believe this to be one of the most important parts of making sure that our customers are always satisfied with the work undertaken and use us again and again. We can sympathize how worked up a customer may feel when an emergency plumber that you have booked doesn’t give you the service you expect. Turning up late or worse still doesn’t turn up at all, leaves your property in a mess or doesn’t explain what he’s doing. We will always try our up most to keep you fully informed from the moment you book the job till the very last minute when the plumber leaves your property. We can also give you a courtesy call when the local plumber is on his way so you need not wait around. When we have successfully completed the plumbing works in hand we will be sure to clean up after ourselves, as you would expect from any professional plumbing service in London. We have local plumbers from all over London, so in the event of an emergency we can be with you at short notice. We have plumbers in east, south, west and north London right out to the Home Counties. We can not only provide you with a plumber we also have a specialist workforce including local drainage engineers. They can take care of a blocked drain or a blocked toilet, and can clear 99% of blockages on the first visit normally within the first hour. We also have gas engineers who can carry out heating repairs or full installations on your central heating system. Our London boiler repairs engineers are gas safe registered, this way you have the peace of mind of knowing that the person undertaking your work is both experienced and skilled in their profession. We also have a wide knowledge and experience of both modern and old types of boilers including combination boilers, open flue’d boilers, right down to the old fashioned back boilers. Book your boiler servicing today. North London Plumber – West London Plumber – East London Plumber – South London Plumber – We cover it all! If you need to find a plumber, or have any queries regarding a plumbing or heating problem that you may have please use the contact bar on the right. Leaving your name, contact number, email for reply and as much information regarding your plumbing problem in the enquiry box as possible, and we will try to answer your query as soon as possible. We at Home Cure offer you a complete central heating service throughout London and the Home Counties. We have local engineers available across the capital from South to North London and East to West London. We have completed work in areas such as Islington, Richmond, Harrow and Greenwich. Our central heating service includes 24 hour emergency boiler repairs as well as new installations dealing with design through to installation and maintenance of your system. We offer free estimates to anyone wishing to upgrade their central heating system; whether it’s just a boiler swap you need or a conversion from a conventional system to a combi boiler. Now’s the time to take advantage of the fantastic prices Home Cure is offering on new central heating installations. So, whether you are based in Greenwich, Islington, Harrow, Richmond, Dagenham, Croyden or anywhere else in the capital give us a call today! Our plumbers work throughout North London, South London, East London, West London and the Home Counties so your local Home Cure London plumber is never far away! 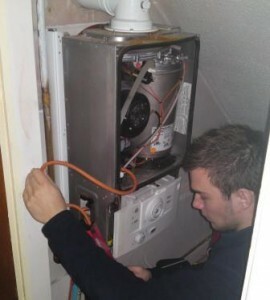 We have engineers throughout London who are able to carry out emergency boiler repairs. This service is available 24 hours a day – simply give us a call and we will be there. Any work we carry out in your property is guaranteed, whether it’s a small boiler repair or a complete new central heating installation. Home Cure have several engineers in London that specialise specifically in gas boiler repairs, boiler breakdowns, boiler installation, boiler servicing, and associated problems. Our plumbers have experience in working on all types of heating systems and boilers old and new, who are on call 24/7 should you need them. 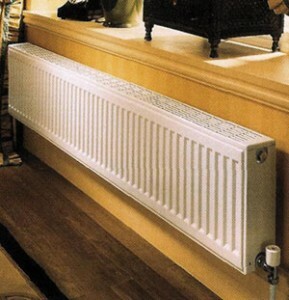 We provide you with a professional heating service you can afford and we have no call out charge! Visit our charges page for a guide on our prices. 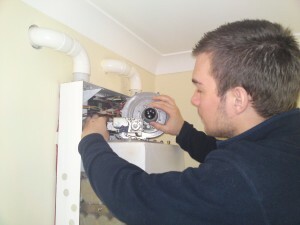 Our engineers can carry out your boiler service expertly and efficiently at an affordable cost. You can rest assured knowing that Home Cure’s heating and boiler engineers are experienced in all types of domestic heating work. Call us today to book your cheap boiler service London 0800 002 9991. For a rapid response heating or boiler service or repair in London, call now! We can give you a courtesy call when our boiler or heating engineer is on route to your property so you don’t have to wait around, just let us know when you book the job. We also try to keep our customers fully informed of what we are doing and why so that you are not left in the dark. Call us today on 0800 002 9991 or contact us online using our simple website enquiry form. Home Cure are your local experts all areas of plumbing and heating. We specialise in powerflushing heating systems using high powered powerflushing equipment and top quality chemicals to bring your system back to life! Ignoring these signs could lead to total system failure and costly repairs. We realise that having blocked drains can be one of the most unpleasant and potentially dangerous things that can happen to householders and businesses. So we promise that in the case of an emergency we will get one of our emergency drain clearance teams to you as soon as possible. Our Drainage engineers can attend to any situation from a small waste pipe blockage, renewing a broken drain or even a full CCTV survey. Our specially equipped vans all carry sophisticated diagnostic technology, enabling them to accurately pinpoint any problem quickly, as well as the latest pressure drain jetting machinery and CCTV equipment. 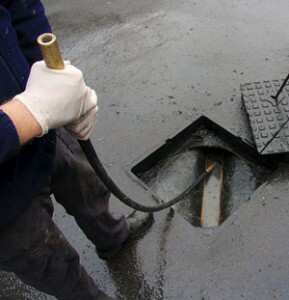 We clear 99% of drains on the first visit usually within the first hour! We can have a fully Trained and Qualified Electrician with you on the same day or on a day that suits you. Electricians are available for emergencies 24 Hours a day 7 Days a week. All our electrical work is backed by our written guarantee. We provide you with a first class service at an affordable price, see our charges page for more details. You are currently browsing the archives for the Plumbing-Services category.